Whilst viewed as an indigenous species today, the Fallow Deer was certainly introduced to Britain by the Normans in the 11th Century and possibly even by the Romans almost 1,000 years earlier. 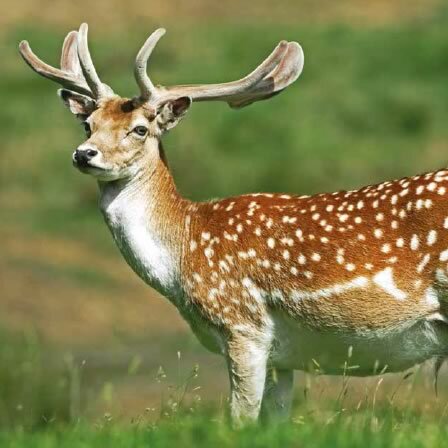 Fallow Deer were prized as ornamental species and were protected in Royal Hunting Forests for royal sport. Recognisable as the only British deer that has palmate antlers, the Fallow Deer is most marked by the white spots on its flanks, especially strong amongst young. They are most active at dawn and dusk, tending to spend the day time ‘lying up’.